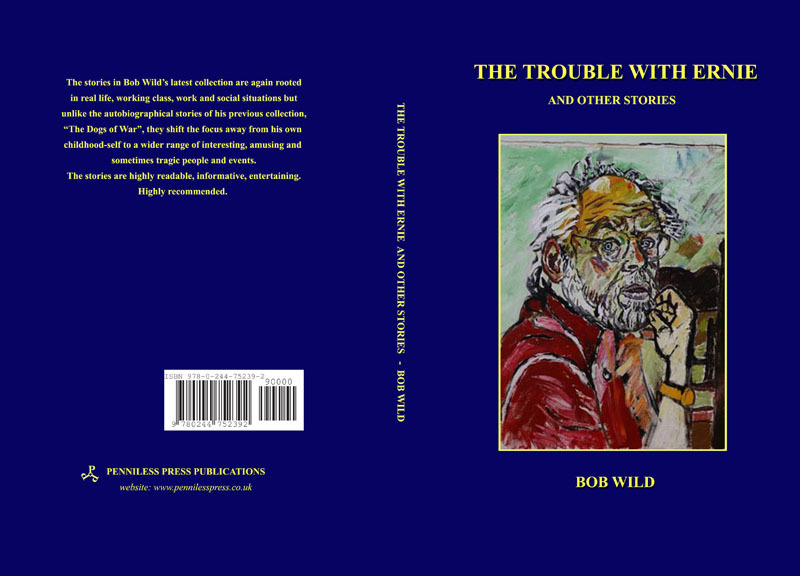 The stories in Bob Wild’s latest collection are again rooted In real life, working class, work and social situations but unlike the autobiographical stories of his previous collection, “The Dogs of War”; they shift the focus away from his own childhood-self to a wider range of interesting, amusing and sometimes tragic people and events. These and many others about working class life in Prestwich Manchester during World War 2 are now available in a 262 page paperback in 6" x 9" format. Boris (Bob) Wild was born in Prestwich, Manchester and grew up on a Council Estate. Aged 16 years he took up an apprenticeship in the Printing industry. His national Service was spent in the Royal Army Medical Corps. He secured a lectureship in Printing at Manchester College of Science and Technology and later an MSc.(Tech.) at UMIST, an M.A. (Econ) and a PhD. in Sociology at Manchester University. He taught Printing at Manchester Polytechnic, (later MMU) and Social Science for the Open University. The stories in Bob Wild’s book provide a rich insight into the social history of working class life on a North West England council estate in the 1940s. They are full of life, vividly evoking the atmosphere of the period. They are crammed with wonderful characters and entertaining everyday situations, all embellished with telling detail.